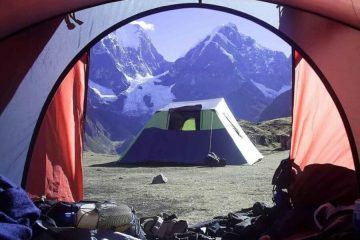 During this trek of two days you will cross the pass between two snow-capped mountains: Chimborazo and Carihuairazo, both extinct volcanoes. While hiking on the paramo of the Chimborazo Reserve you will have excellent views of these peaks. 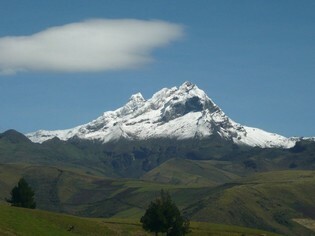 We leave Riobamba at 9:00 am by car and drive to the trailhead at 3800 m. / 12.467 ft. altitude. We put our equipment on horses and then start a 6 – 7 hour hike. The first 2 hours we hike on a small road, until we reach a small refuge at 4200 m. / 13.780 ft. 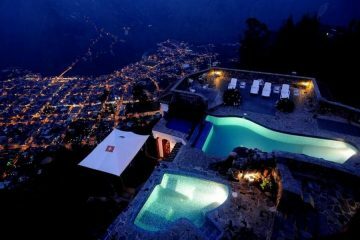 If the weather is clear, you will have great panoramic views of the Andes mountain range, including the volcanoes Tungurahua, Altar, Sangay, Chimborazo and Carihuairazo. We continue on a trail up to 4400 m. / 14.436 ft. and then start going down to the beautiful Abraspungo Valley, with plants like the deer’s antler, cushion plants and lichens. This area is home to vicuñas (a protected species of camelid), and with some luck we’ll see the Chimborazo Hillstar, an endemic species of hummingbird that lives in the high Andes. Spend the night in a basic refuge in the indigenous community of Mechahuasca. After breakfast we leave the refuge and start the second day of this trek, again with an average hiking time of 6 – 7 hours. From Mechahuasca we trek along the northwest flank of Chimborazo. The opposite of the mainly humid ecosystem of the first day, this is a desert-like area with paramo flowers like the chuquiragua and arquitecta. 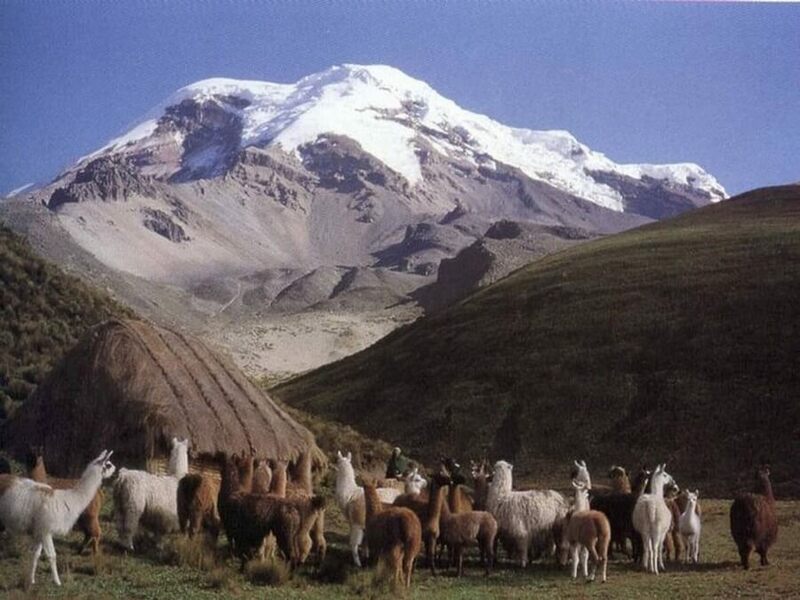 Here we can see herds of vicuñas, and with clear weather we can enjoy views of the huge glaciers of Chimborazo. 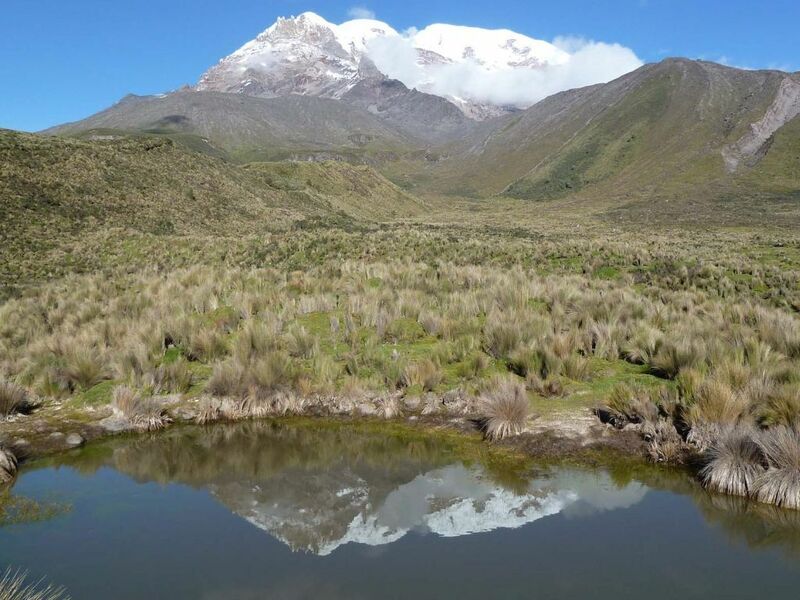 In the afternoon we will arrive at the Carrel refuge at 4800 m. / 15.748 ft. Private transport back to Riobamba. 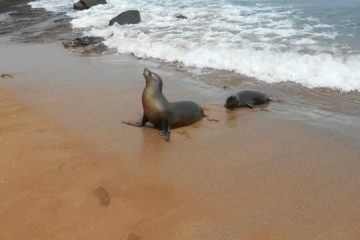 Arrival at about 16:00 h.